At Smart Digital, we love outdoor movies. We adore the atmosphere outdoor movies create, and we work to bring this atmosphere of pure joy to you, no matter where you are – in a remote community in Western Australia, in one of the local parks around Sydney, attending a fundraising event at Gold Coast bowls club, in Tasmanian drive-in, or participating in one of the Melbourne’s sophisticated cultural events. We are Australian owned business specializing in portable indoor and outdoor cinema equipment. Smart Digital has been bringing the magic of the big screen to the communities of Australia and New Zealand since 2006. Smart Digital supplies quality projection screens which last for years. Our experts select and package the projection equipment to offer the best combination of quality and value for money. We work with you to customise the system to suit your needs and to help you fulfill your dream of open-air cinema or any other audiovisual event. Our team also prides ourselves with outstanding customer service and deep product knowledge. Inflatable movie screens make open-air cinema easy and affordable. The inflatable movie screens we supply are made from the very latest high technology materials. You can use our screens for front and rear projection; moreover, you can wash them, and they are very compact to store. We make it easy for you to run your very own open-air cinema. We were aware that many of the systems would be used by people not familiar with audiovisual equipment. Many of these people have very limited knowledge of the technology. We were, therefore, determined to produce a system that was extremely easy to set up and operate. 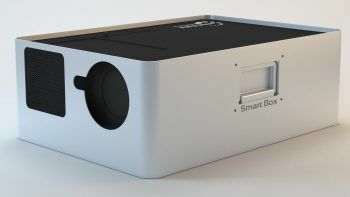 The result is our specially designed and in-house built multimedia controller SmartBox®. It contains all the electronic elements to screen a great outdoor or indoor movie show. James Cunningham has been in the electronics and audiovisual industries for many years. The Cunningham family was responsible for many firsts in the audio-visual business in Australia. They brought to Australia the revered professional audio company Sennheiser Electronic from Germany. They introduced the Swiss audio connector Neutrik. James introduced Sennheiser headphones into Qantas First Class. The initial order was the largest headphone order recorded by Sennheiser. The success continued for many years with the further introduction of these headphones into Qantas Business Class. Later on, James acquired Australux, a company manufacturing projection screens. However, it soon became evident it was more economical to import and distribute movie screens rather than to manufacture them. James then introduced Da-Lite screens and other related AV products into Australia. Subsequently, Toshiba Corporation of Japan appointed James and his company to be their distributor in Australia for professional audiovisual products. At one stage the company was the largest distributor of Toshiba data projectors in the Asia Pacific region. Some years ago James recognized there was an opportunity not being addressed in Australia with open air cinema. Certainly, there was a major operator screening outdoor movies in capital city parks and gardens, but hardly anybody packaging the equipment to make it very simple to operate for local and consumer markets. The other major issue was the prohibitive price of inflatable movie screens. Melbourne Open AIr Cinema, later known as Funflicks, is the Outdoor movie rental business founded by James Cunningham. James and his team organized numerous outdoor movie events in 2012 – 2014, including several drive-ins, university and local council events, Destination Docklands and Melbourne White Night, and acquired expertise which is hard to be matched. We share this expertise of running an outdoor cinema business with you in our book called “Open Air Cinema – the definitive guide. Everything you wanted to know about outdoor movies, but were afraid to ask”. This guide will help you organise your own perfect movie event, from a small backyard party to a movie festival or a drive-in. Young at heart and highly enthusiastic about their outdoor cinema business, Smart Digital never stops looking for the best solutions for their customers. Now the company has the finest inflatable and portable movie screens at the best possible price. We offer professional grade audio video solutions mounted in portable ABS rack cases. Our outdoor movie packages are complete with everything you need for hours of entertainment. They are easy to use and move around and built by people who know their customer very well. 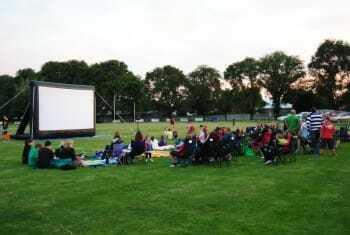 We support and promote outdoor movie initiatives and events in Australia via our blog and Facebook page. We share our knowledge with you, and we keep on perfecting our product range. We bring more fun, more magic, and more entertainment to people all over our beautiful country and beyond.